In previous articles, we’ve gone into detail about how best to manage contracts and the benefits of doing so. In this article, we’re going to take a look at what bad contract management looks like. We’ll look at five features or scenarios that are representative or poor practice and which have the potential to put a business at unnecessary risk. If any of the following scenarios seem familiar then you’ve likely got plenty of room for improvement. An offline repository is a tell-tale sign that contract management hasn’t been high on the agenda. Not only is it time-consuming to look through, but by keeping all documents in one geographical location, you make it impossible for anyone to review the contracts remotely. 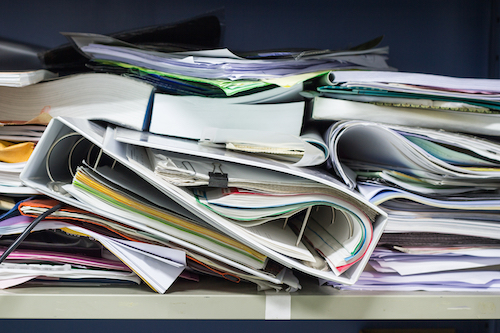 More often that not, the manual work of looking through contracts will fall to a small number of people who “know their way around the filing system”. Which version shall we use today? When you have multiple people trying to access central files, you can quickly find new versions appearing as people either save one for themselves or have IT issues whilst the master file is open. Again, there’s likely to be a heavy reliance on specific people to set and police the rules and others who can’t bring themselves to follow them. There will always be subject matter experts in businesses and when it comes to contracts there will always be administrators or departments who oversee the processes related to contracts. However, in an ideal world the system won’t be so reliant on those people that it can’t function without them. Mature processes, backed up by dedicated contract management software, can generally run reasonably autonomously, with intervention by exception only. If a system is so complex to follow that only the one person who’s worked on it since it was created knows how to find information then it’s not fit for purpose. If one or two people have to handle all queries relating to information contained in contracts, then that creates a needless bottleneck. This can be even more wasteful if those people are specialists from the legal team or other over-qualified staff. Making them spend time on trivial admin is a poor use of their time and wages. Giving stakeholders the ability to self-service and answer minor queries for themselves immediately frees up central resource to focus on more important matters. Managing a renewal should be one of the easiest and most predictable actions a business has to take. At the outset of a contract, the end date should be known and recorded. From there it should be logical to determine, using the notice period, when a renewal needs to be agreed by or notice given. With so much uncertainty across most parts of a business, this should be refreshingly straightforward. However, the reality is somewhat different. Again, if processes aren’t followed, or details missed in the rush to get moving with a contract, then it can lead to problems down the line. We speak to lots of businesses who have missed renewals and had contracts either auto-renew or auto-terminate without their team being aware. Tracking renewal dates is vital for efficient contract management and it’s obviously a lot harder if your contract management “system” is based around a filing cabinet or a selection of randomly populated Excel sheets. 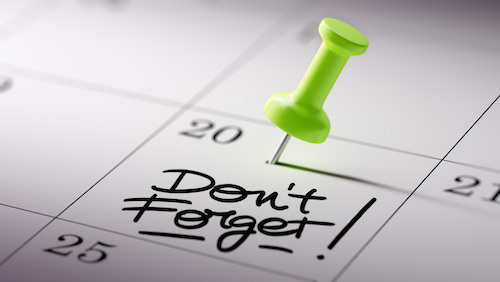 Automated notifications around key dates should be a minimum requirement from a contract management system. When signing contracts with a new supplier or service provider there will often be a thorough due-diligence process carried out as part of the initial negotiations. This might include, for example, an Information Security Audit, reviews of data-processing agreements and checking compliance with all relevant regulations. Assuming the necessary checks are all satisfactory, the supplier can be signed off and the contract can go ahead. But what happens down the line when regulations change, or internal processes are updated? Is your system robust enough to determine which contracts need to be reviewed again? Is there an audit trail of previous activity? Are there automated reminders set to check on compliance status periodically? If your answer to any of these questions is “no” or if you haven’t got a clear view of all your business’s contracts, then you might be sitting on a significant problem without realising it. A system or process that ensures monitoring compliance happens throughout the life of a contract is vital in order to minimise risks. There’s a common belief when it comes to new software that it will solve a business’s problems on its own. Additionally, from the time a business problem is identified to the time that a contract for a solution is signed, the scale of the problem can increase and the “hype” around the prospective new solution can also be amplified by enthusiastic stakeholders. This may well be true but two key factors that can often be overlooked are implementation and adoption. Unless a contract management system is implemented thoroughly, with appropriate training, data & document import and any necessary customisation, it’s unlikely that it will deliver the expected results. Even more importantly, if the solution isn’t adopted across the business then it definitely won’t deliver the results. There are always natural barriers to the adoption of a new system as some people will favour doing things the way they’ve always done them or simply have an inherent suspicion of new processes. If this isn’t addressed effectively then it won’t matter how good the underlying software system is. If any of the above scenarios sound familiar then you’re not alone. Businesses can develop bad habits and processes for a variety of reasons. In some cases, it’s simply that the rate of growth has been high and some functions have yet to mature to keep up. If you’d like to hear more about how Gatekeeper could help your business, then please get in touch today.